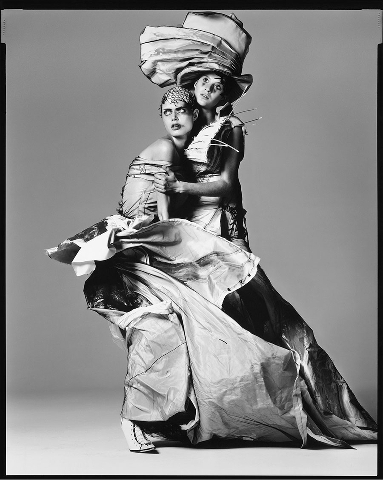 Richard Avedon, FASHION photographer turned ARTIST shows the DIVERSITY and COMPLEXITY of photography in his newest solo exhibition at Gagosian Gallery (Davies Street, London) which is currently on display until October 26th. Avedon exhibits a collective of fashion photographs from his work between the 1960’s and 1970’s in “Avedon: Women”. These fashion photographs not only depict the BEAUTY of the clothes, but do something greater, or so I think. I think what makes this exhibit so INTERESTING and INNOVATING is his questioning of the role of photography and how it is used. He attempts to differentiate his photographs by breaking all the rules by portraying his models in motion -confident, vivacious, with a joie de vivre. The COUTURE clothing only accentuates these eccentric poses. Although these photographs can seem superficial and more fashion photography-like, Avedon cleverly and slyly evokes deeper meaning. Take Jean Shrimpton, evening dress by Cardin, Paris 1970’s (below). 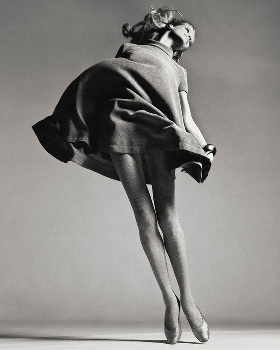 Sure it is a beautiful silk gown in motion, but is Avedon bringing more to the table? Is he referencing some sort of art historical reference say…Unique Forms Of Continuity in Space (below) by Umberto Boccioni. 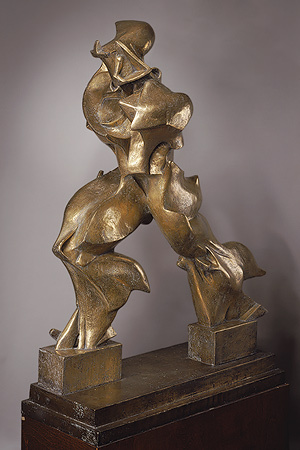 What Boccioni did for Italian Futurist art sculptur e- attempting to bring the MOVEMENT to the medium of sculpture is what Avedon does for photography. He brings a certain DYNAMISM, which rethinks the medium of photography from being still and motionless to active and forceful. The cloths only highlight this movement as well as create a certain tension to the pieces. In a way he is self -contradictory in his works, intensifying the action through the draping of the clothing but capturing it in the stillness of the camera – makes you think right? 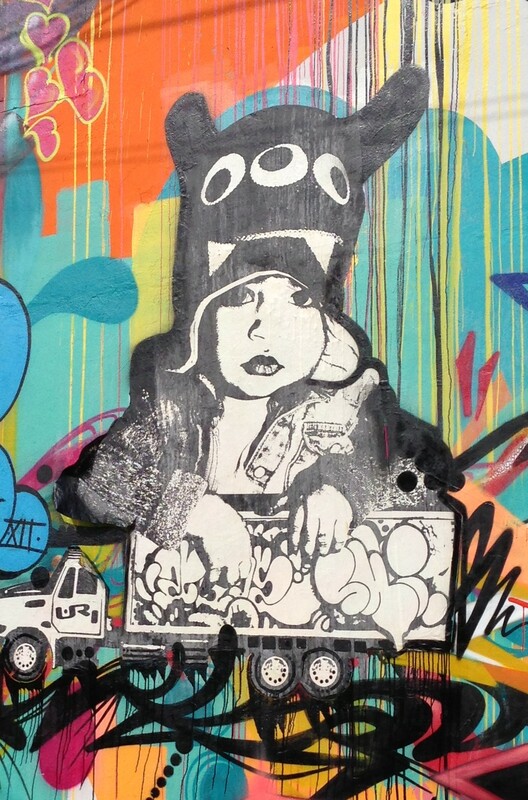 How fittingly appropriate for FASHION WEEK – eh? Posted on September 12, 2013 by CultureHe(ART)s.	This entry was posted in Contemporary, Fantasy, Gallery, Sculpture and tagged 1960s, 1970s, Art, beauty, Black and White, Boccioni, Couture, diversity, Dynamism, Exhibition, Fashion, Fashion Week, Gagosian Gallery, innovative, interesting, Italian Futurism, London, Movement, Photography, photos, question the role of photography, Richard Avedon, Style, Women. Bookmark the permalink.